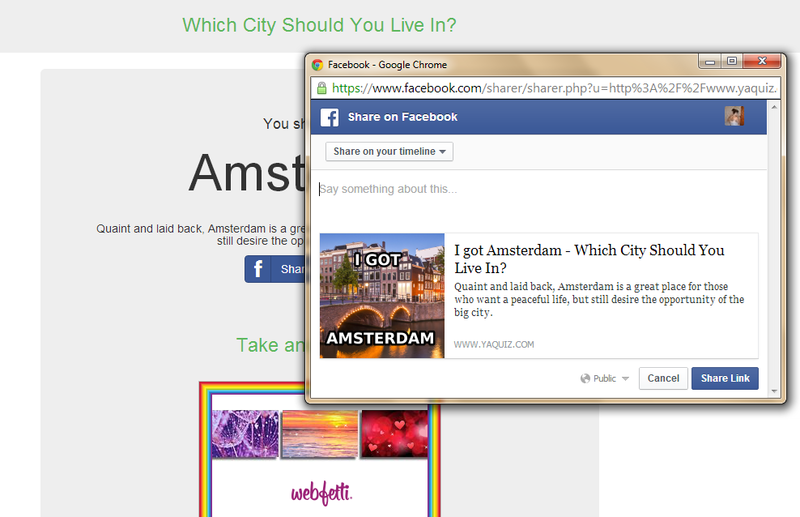 Quiz Website with Facebook Share button and comments box. 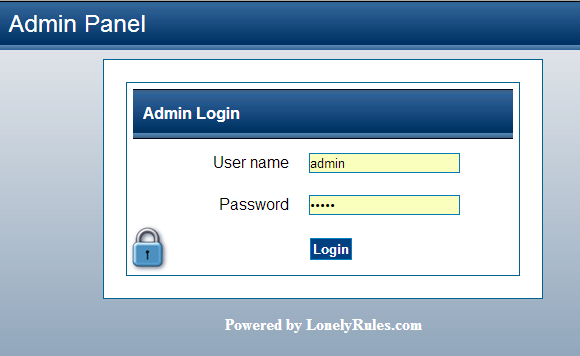 The script is easy to install and comes with admin panel to add quizzes. Very clean code! Infinite ajax loading for the index page, which will load older quizzes when scrolled to the bottom. Progress bar upon taking a quiz. 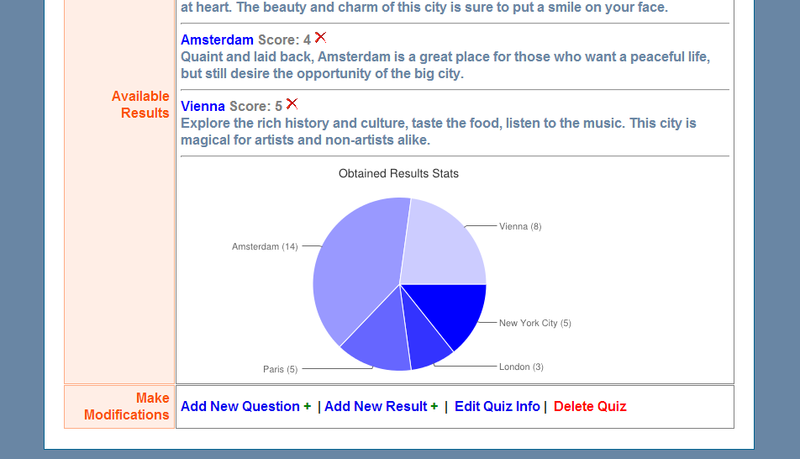 Clicking on the shared result will now open the relevant quiz’s page. 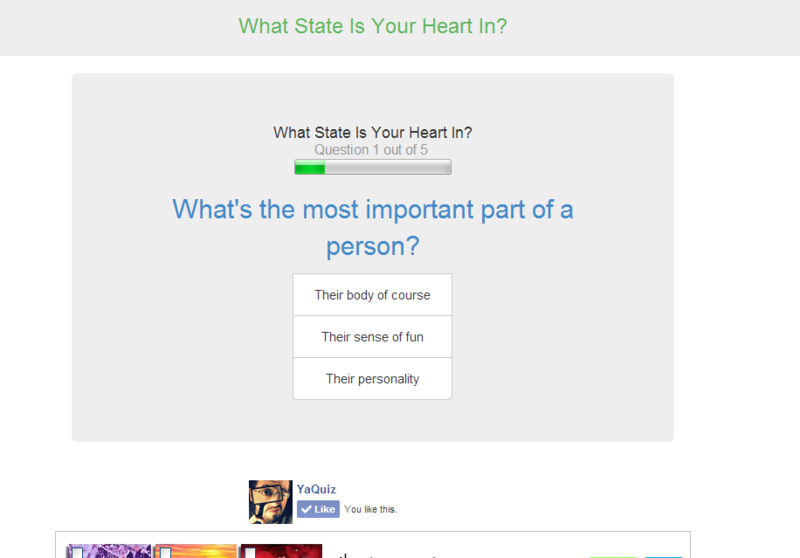 Popup suggesting other quizzes at the end of quiz. Added the option to specify the result sentence used in the share dialog. In older versions it was I got for all quizzes. 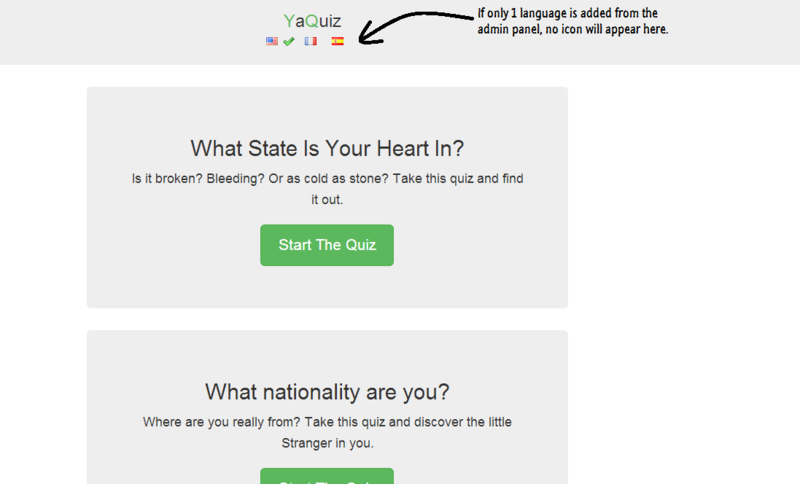 The “Share on Facebook” button now displays the text according to the Language of the quiz. The share dialog automatically close on mobile after sharing the results. Mobile ADS will now appear instead of large desktop ads when opened from mobile. Added share buttons for Google+, Twitter & Pinterest. Fixed some bugs to make the website 100% mobile responsive. 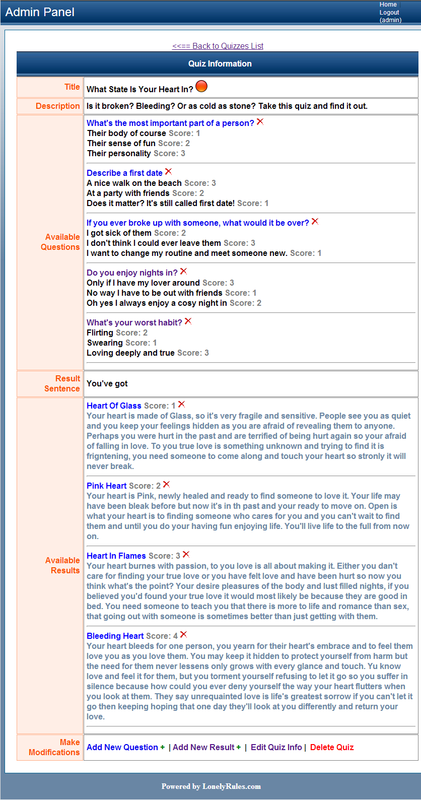 SEO Friendy URL for quizzes. 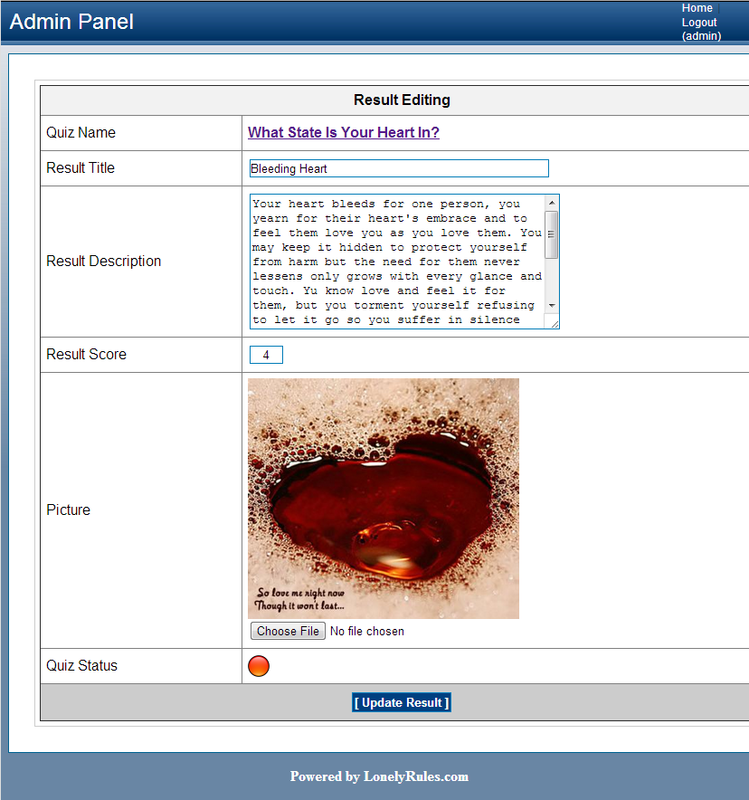 Optional cover image can be added for the quiz from the admin panel. Unique optional cover image can be added for each question from the admin panel. Set the background of the website from the admin panel. Ability to hide/display and set time for “Other quizzes popup”. Ability to hide/display and set time for “Share result popup”.